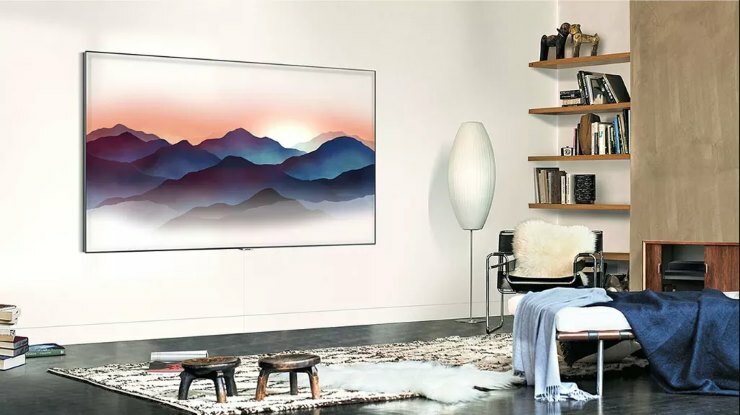 Samsung QLED TV revealed: Shock and awe! Over the last decade, Samsung has established itself to be one of the fastest and most reputed consumer electronics brand. Not bad for a company based out of Seoul, I must say. And the reason they have made this possible is by putting a lot of time and resources into R&D. Before we go further, here is a little fun fact about Samsung. Out of the categories of goods they manufacture, one of those areas is apparel. Who would’ve thunk!? Samsung, in terms of sheer volume, their consumer electronics show the biggest numbers. Someone, somewhere, and at sometime has owned a Samsung product. Coming back to the topic at hand, Samsung had a really impressive line up of good things they have prepared to launch in the market this year. Amongst that is a the all new Samsung QLED TV series. When the company launched the line up at the New York’s American Stock Exchange Building on the 7th March this year, there was a lot of excitement. Here’s what we know of the new line. Though these TVs will feature just 4K resolution, they have come up with something called the new Direct Full Array backlighting system. That is essentially a better screen luminance structure. It will ensure that there are no “blooming and halos” on the screen and all the pixels, spread over the surface area will illuminate equally. The TV will have better colour contrasts, anti reﬂection (which will ensure “no glares” from any angle of viewing), better connectivity etc. The star feature of the reveal was the TV’s capacity to “blend in the wall” that its mounted on. how this works is, you take a picture of the wall your TV is mounted on, share it with the TV via Samsung TV app, the Tv then analyses the picture, colour matches it, identify the patters and uploads the picture ﬁlling the entire screen. Only the bezels of the TV are visible and that gives it an illusion of it being a photo frame. You can add a clock or weather updates or news ﬂashes on the screen in this mode as well. This TV also gives users to choose customisable aspect ratios. So for instance if you have a 80 Inch version you can still view the media in anywhere from 32 Inch viewing space to the full 80 inch capacity. This function will be most helpful when you decide to play old media that is in 720p or less. The other big addition is the inclusion of Samsung’s AI platform, Bixby into the QLED TV series. uphill now we have only seen the Bixby on the S8, S8+, S9 & S9+. Dubbed as the Bixby 1, the AI will allow the users to interact with the TV in form of questions, issuing commands, activation and deactivation of various third party smart appliances etc. This is Samsung taking one more step closer to creating their holistic smart home strategy. Since the TV was just showcased, and is still a few months away from hitting the ﬂoor, we can only speculate and hope. But Samsung has shared an info graphic that will probably give a better understanding to what consumers can expect of the QLED line. Samsung and Samsung S9+ and Reliance Jio buyback and data offers: The details you want to know Should you trade CFD or Stocks with your broker?